very extremely dry. Will try putting in freezer. Disappointed and i’m an experienced baker. Oh my gosh first, the recipe only made enough for 12 teeny cookies. I’m talking like quarter size? So I was thinking it needed to be quadrupled next time. But there will be no next time. it’s like getting a mouthful of dust. These cookies were awful. I’ve had coconut flour items before but I had to down a glass of water with each nibble! JUST made these. I subbed ghee for coconut oil (to me that buttery goodness is what makes shortbread shortbread) and they are delicious! I waited 5 minutes after they came out the oven before eating one and yes they are dry and crumbly (but delish!!) Putting them in the freezer now for them to firm up.. The flavour of these are so good! Definitely making them again but will probably reduce the sugar. just had one out of the freezer. Holy cow so good!!! I came to this recipe because I made the cookie dough crumble the other day. I read through the comments before making these and so when I made the dough and it seemed dry I just kept adding more coconut oil. And then I added a splash of nut milk. When I went to try and make cookies I realised it was crumbling so I decided to make a tray of crumble and it’s turned out beautifully! Such a nice flavour, It’s the easiest crumble ever! I am having it straight from the oven on Greek yoghurt and it’s perfect because I found this recipe a little too sweet. Thanks! A bit dry but still enjoyable if you are on a restricted diet and have few options! Great taste. I actually used 2 tablespoons caster sugar in place of coconut sugar. Thanks so much for this recipe. I dont understand the issues others had about this ccokies been dry. For my they were perfect! 😀 My only issue was they were burnt on the edges! lol (I got them out of the oven 20min ago and they were baking for 7 min. Next time Im going to bake them for 5 min. since my oven was preheated 10 min to 350ºF ;). They peel very easy from the parchment paper after 10min cooling. I didnt add vanilla nor other flavor and they were incredible! Next time I will probably divide the dough to make some vanilla flavored and the other half cinnamon to see how they taste. Oh, I had another issue! lol I drop tablespoon on my digital scale to have cookies the same weight (they were 33gr) and I just got 5 🙂 but, anyways! 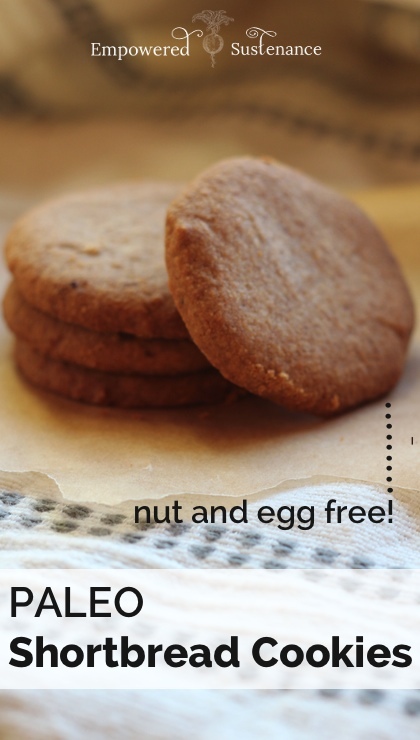 They were simple, delicious, the texture was super nice and what I love the most about them is that they are nut free and egg free! If you follow the recipe, the cookies should turn out just fine (I’ve made them a LOT and every batch was perfect). 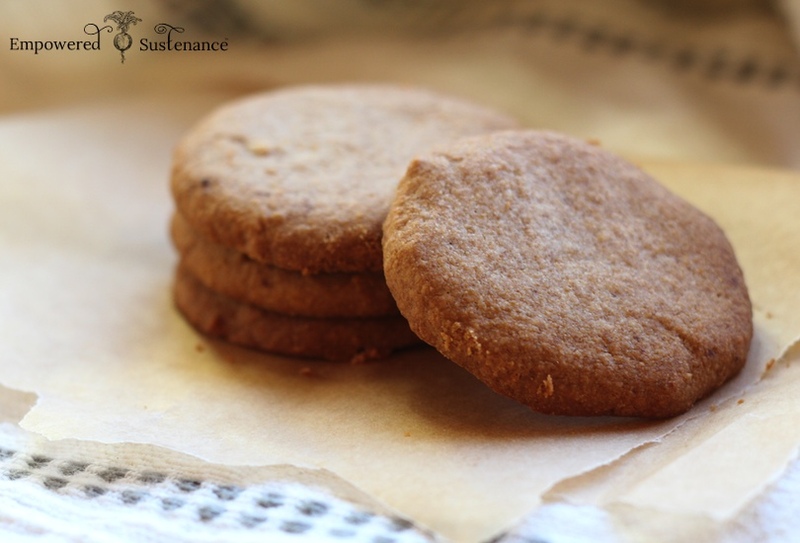 I’ve also made them substituting honey for the coconut sugar (about 1 tablespoon) and they’ve turned out great. I think it really is best to pop them in the freezer and enjoy from there (texture is the best that way). This is a drier cookie than most cookies, but that’s what makes it shortbread-like. Thanks, Lauren! I wish I had read the comments. I just tried this and the result was extremely disappointing: dry and crumbly, like eating coconut flour. save your expensive ingredients and look somewhere else.